Larus cachinnans adult female 58P4 May 01 2009, Włocławek Reservoir, central Poland. Picture: Magdalena Zagalska-Neubauer. Female 58P4, May 01 2009, Wloclawek - Vistula river, Poland. 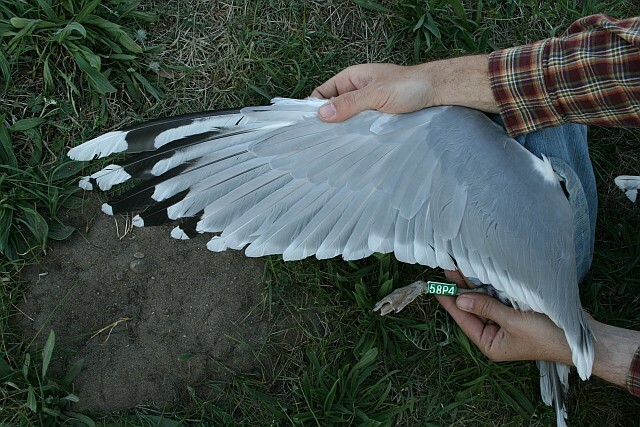 Bird to show variation of wing-tip of adult Caspian Gulls at the mixed colony at Włocławek Reservoir, central Poland. Birds are included only if all characters are within known cachinnans variation, to ensure that influence of argentatus (possible hybrids etc.) is minimal or lacking. All birds were trapped at nests during incubation. If there are photos of the same bird from different years, they are presented side by side. 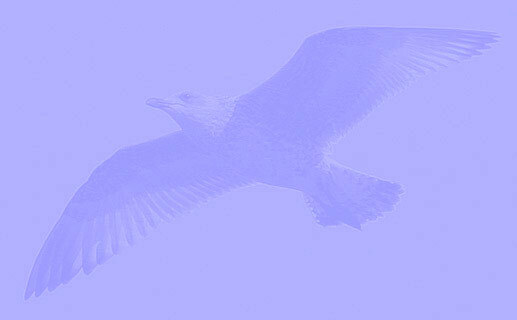 Here, only 5 traits are visible from the image, score so far is 5, with theoretically another 10 points possible.